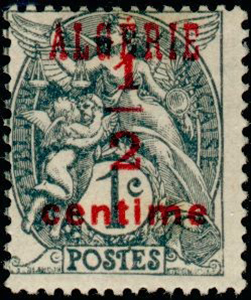 Algeria became a French Department in July 1830, although internal hostilities continued until 1847 and, to a lesser extent, thereafter. 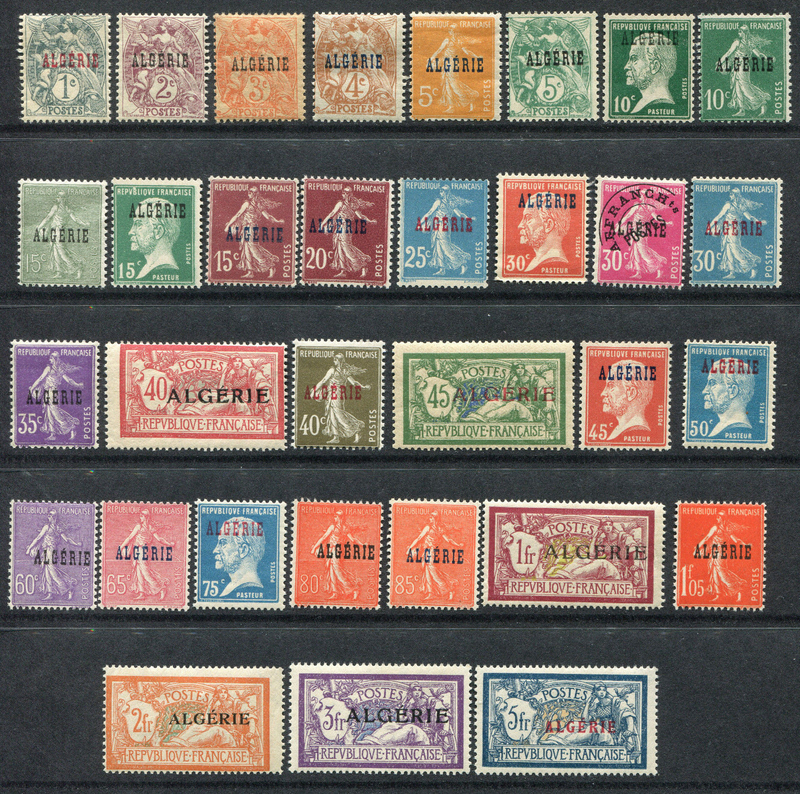 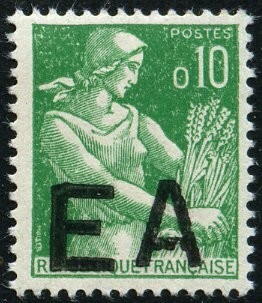 French stamps were used until 1924 and again between July 1958 and independence in 1962. 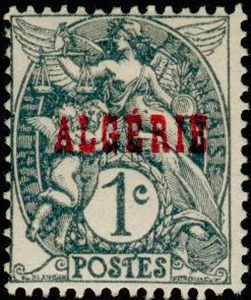 The first stamps after independence were overprinted "ER" with or without a bar for Etat Algérien.